We are fully licensed cablers and can carry out all of your adds, moves and changes for your system at competitive rates. Our professional staff will get the job done right first time. Structured cabling is the design and installation of cabling systems that will support multiple uses, and will be suitable for today’s needs and those of the future. With a correctly installed system, current and future requirements can be met, and hardware that is added in the future will be supported. 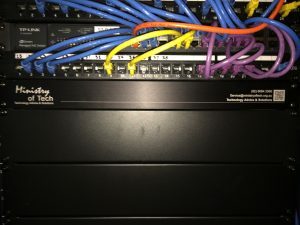 Structured cabling design and installation is governed by a set of standards that specify wiring data centers, offices, and apartment buildings for data or voice communications using various kinds of cable, most commonly category 5e (Cat 5e), category 6 (Cat 6), and fiber optic cabling and modular connectors. We hold the Cabling Registration “S” endorsement to work on Structured Cabling Systems. Optical fibre cabling is the new standard, especially between buildings on a larger property, or between floors in a multi-storey building. 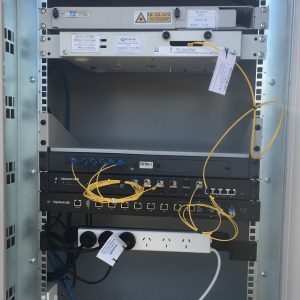 Special tools and skills are required to design, build and maintain fibre optical cabling systems. We hold the “O” endorsement for Optic Fibre cabling and have experience in deploying fibre optic cabling across multiple campuses. 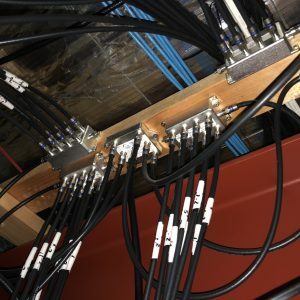 We can integrate your network into a fibre optical cabling design to increase network capacity, and reliability and to eliminate damaging earth loops that are always inherent in copper systems. Talk to us about your needs because fibre optic cabling systems are not as expensive and you may think. We hold the Cabling Registration “O” endorsement to work on Optic Fibre Cabling Systems. Many of our customers have multiple buildings on their site, and this often means dealing with underground cabling. 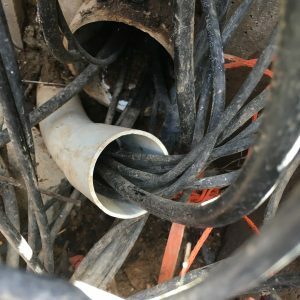 To work on underground telecommunications cabling, you must hold the “U” endorsement for underground cabling attached to your cabling registration. We have the experience needed in planning and maintaining underground cabling infrastructure. To work on Underground telecommunications cabling, you must hold the “U” endorsement for Underground cabling on your cabling registration. We hold the Cabling Registration “U” endorsement to work on Underground Cabling Systems. Just like underground cabling, Aerial cabling is also common in larger, multi-building properties. To work on Aerial telecommunications cabling, you must hold the “A” endorsement for Aerial cabling on your cabling registration. You may also need to have working and heights certifications. We hold Aerial endorsements for Aerial Communications Cabling, Working at Heights Certification and Supervision certification, and we are also certified to operate Elevated work platforms under 11m. We hold the Cabling Registration “A” endorsement to work on Aerial Cabling Systems. We hold the Height Safety Supervisor Certification. We hold the Certification to operate elevating work platforms under 11m. Many properties are now being connected to the NBN via Coaxial Cable. 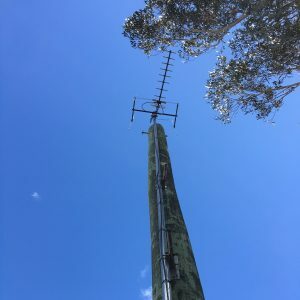 Although this is only one method of connection that the NBN use, it will affect many properties in Australia where there is existing coaxial infrastructure. Your property may need to have the coaxial cable extended from the boundary to a more suitable location. We hold the “C” endorsement for Coaxial cabling and can therefore carry out coaxial cabling within the property boundary. Coaxial cabling may also be used for in-house RF distribution of video content. We hold the Cabling Registration “C” endorsement to work on Coaxial Cabling Systems.